Saturday, April 25, 2015, the 9th Annual Butterfly Effect (BE) Maui saw over 300 participants of all ages. Beginning at Baldwin Beach Park, the day was crystal clear and winds calm, making for a perfect day on the water and at the beach. As each participant checked in they were greeted with beautiful leis donated by the Hyatt Regency. Tatiana Howard, founder of The Butterfly Effect, led the morning ceremonies. 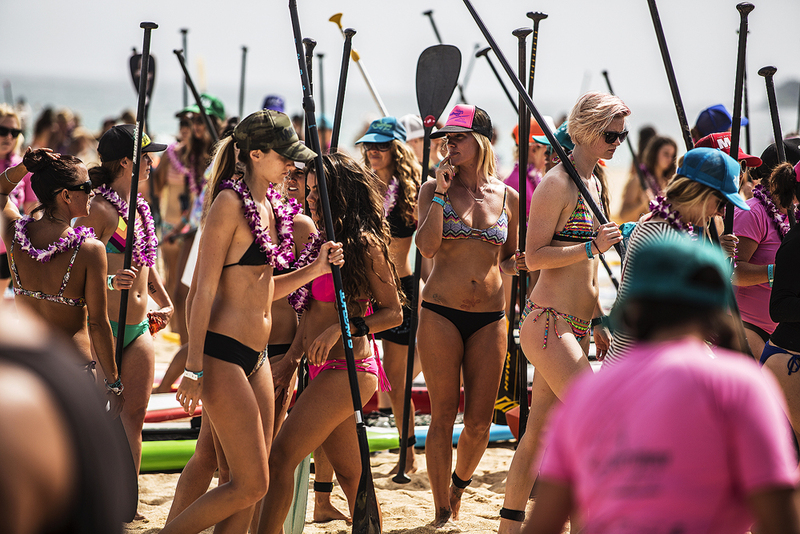 As the participants stood in a large circle with paddles in hand and smiles on their faces, Tatiana expressed her desire to share Aloha and inspire and empower women through water sports and give back. After opening remarks a ceremonial Hawaiian blessing given by Kumu Dennis Imamura set the tone. 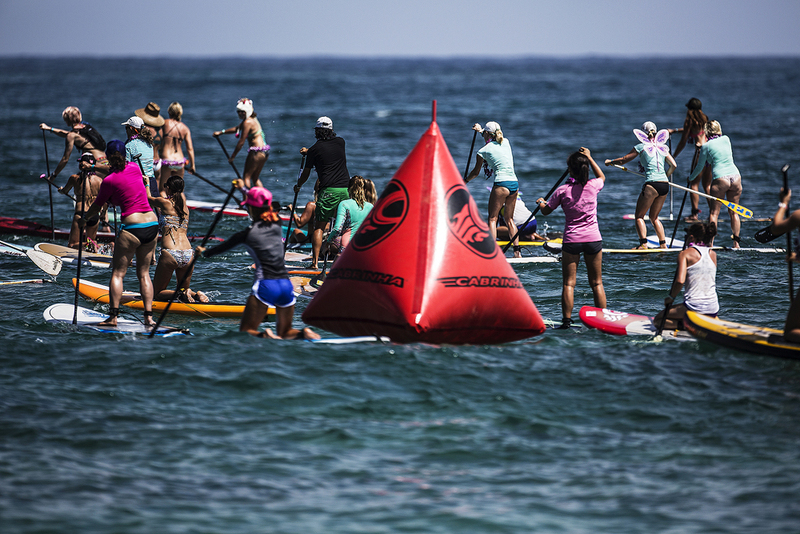 Before the final send off the participants were led by Roxy paddler and owner of Paddle into Fitness, Gillian Gibree and BOGA Yoga Ambassador and Maui based yoga teacher, Sarah Callaham for a brief yoga warm up. After the beautiful 3 mile paddle down the coastline of Mauiʼs North Shore the participants checked in at Kanaha Beach Park. Upon check in, they were greeted with their special event goodie bag with the BE beach sarong and other surprises from sponsors, lunch from LifeFoods and hydration by Sporting Club of the Pacific. The Aloha Beach Festival was filled with live music by The Free Radikals and Mishka, dance fusion by Pahu Studio, amazing giveaways from sponsors, aerial silks, hula hoops, beach fitness, demo booths and more. Big Mahalo to all the photographers capturing the day, David Parias, Fish Bowl Diaries, Jimmie Hepp, and Kevin Pritchard. Stay tuned for an awesome event video by Rotor Collective. The event was supported by awesome sponsors such as Adventure Sports Maui, Sporting Club of the Pacific, Kaenon, San Lorenzo, Maui Real Estate Team, Hyatt Regency, Raw Elements, Mafia Bags, Keliki Clothing, Flymount, and Nalu Watersports. For the complete list of sponsors please visit our website.